Computer Pals for Seniors Northern Beaches Inc.
Cowra Information & Neighbourhood Centre Inc.
Bligh Park Community Services Inc.
1. Go to the panel on the homepage (see image a) or learner landing page (see image b) that looks like this. a) Type in the postcode you are looking for events in. Some postcodes have many suburbs within them. Select the one you want and click search. 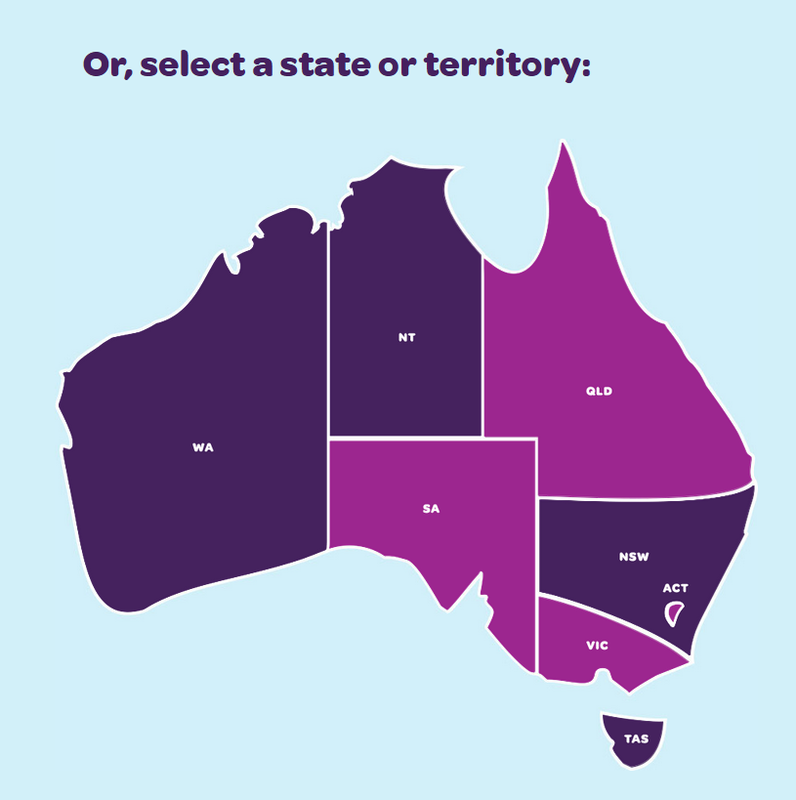 b) Select a state on the Go Digi map of Australia. 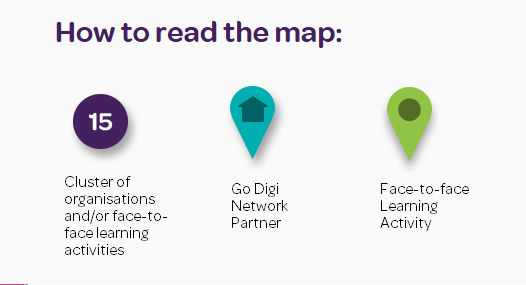 This will take you to a new page where you'll be able to see the Network Partners and the face-to-face learning events on the map. 3. 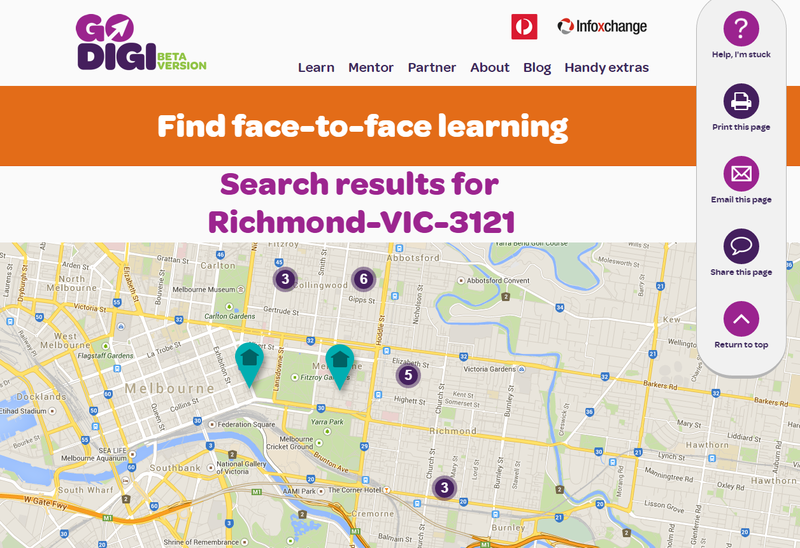 Either way you search for face-to-face learning events, your results will display on a map in a new page. 4. You can read the map using the map key below. It will look like this. 5. If you have entered a postcode, you will be able to scroll through the search results. There will be Network Partners and Face-to-Face learning events listed. 6. In this example we are looking for the Face-to-Face learning events. Click on 'See full details' for more information on the face-to-face learning event that you have selected. Congratulations, you have searched for a Go Digi face-to-face learning event successfully.